Overweight has become the biggest problem of many people these days. The main culprit for gaining excess weight is our ‘lifestyle’. Yes! We’re living in a World where we do(ca)n’t allot time for our health. We’re making several excuses to lead a healthy lifestyle and later regretting for not following the same. Luckily, there are many ways through which one can lose the excess body weight and stay fit. One popular way is the DIET mantra. By making simple changes to our diet and daily schedule, we can become fit and healthy without killing much time. I’ve written a detailed 1200 calorie meal plan earlier, but that diet plan doesn’t suit everyone and should be followed only by the people whose daily calorie requirement is 1700 calories. However, not everyone can survive with such a low calorie intake and so it is better to check your daily calorie needs before trying any diet plans. For those people with 2000 or above daily calorie needs, I am composing this meal plan. What’s Up with the 1500 Cal Magical Figure? The lifestyle and body type differ from one individual to another and so is the calorie requirement. For suppose, if your body needs 2200 calories per day to survive, then eating more than that required amount will make you fatter and sticking to the 2200 calories can help you maintain your weight. If you want to lose weight, then you can follow the 1500 cal diet plan. It is as simple as that. Give only what your body needs and it will automatically burn the excess fat stored in your body in order to survive. 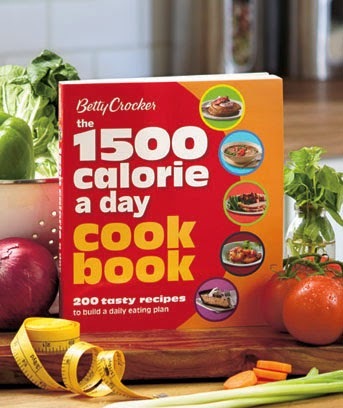 Who Can Follow the Low Calorie (1500) Diet? First of all, go and check your daily calorie needs using this calculator. If your suggested cal intake is 1800 to 2200 cal, then you can happily follow this diet. However, you should not perform any strenuous exercises or activities while on this meal plan. How Does the 1500 Calorie Diet Plan Work? Instead of eating 3 large meals a day, we’re simply dividing it to 6 small meals a day, so that it boosts our metabolism, thereby helping our body burn more calories. Lunch (1.30PM): Vegetable Salad/Soup + 2 small Chapatis with dal or vegetable curry + 1 cup (150ml) curd made from double toned milk. Evening Snack (5PM): 1 Fruit (either Apple or Pear) or Oats Upma with desired vegetables (excluding potato). Bed Time (9 or 10PM): Drink a glass of warm milk (skimmed) with less or no sugar. The main reason why 6 meals are suggested is that your intestine will have to digest whenever you eat something. Here in our meal plan, we’re making our intestine to work, but not providing high calorie foods, so that it can take those calories from the already deposited fat in our body. Salads in our diet help our body with vital nutrients and whole wheat provides fiber. You should also drink at least 3 to 4 liters of water every day so that your body can flush out toxins easily. Use only olive oil for cooking. It is advised not to use more than 500ml of virgin olive oil in a month for 1 single person. If needed, you can take vitamin supplements like ‘supradyn’ on alternative days. If you’re not comfortable eating chapatis, you can substitute it with 1 cup (250ml) Upma/Poha or 2 small plain dosas. Breakfast: Omlette (2 Eggs, Mushroom and Onion), 1 Slice of multigrain toast with a slice of low-fat cheese, a cup of Black Coffee (add a tsp of skimmed milk if needed). Morning Snack: 1 cup Yogurt, 1/2 cup strawberries, 1/2 apple, 1 tsp flaxseeds, 5 or 6 almonds and 5 or 6 walnuts. Make sure you chew more while eating. Lunch: Make a chicken salad with these ingredients: 150gms roasted/smoked chicken pieces, 6 tomato slices, 1 small apple, chopped olives (30g), 3 tbsp olive oil, 1 cup greens (spinach, lettuce), a slice of multigrain toast and some vinaigrette to taste. While you’re dieting, it is very important to eat meat from where you’ll be getting lean protein for building muscle. Evening Snack: 1 cup sprouts with salt, pepper and lemon to taste and a small mocha latte. Dinner: 1 cup tomato soup, 200g steamed basa fish, 1 cup grilled vegetables (avoid potato). Using these ingredients, prepare steamed fish fillets. You’ll get omega-3 from fish. Bed Time: Have a glass of warm milk with or without sugar. P.S: Drink enough water (3 to 4 liters) every day without fail for best results. You can also do aerobics or yoga along with the diet. That’s all Friends! Follow this 1500 calories meal plan for quick weight loss of up to 5 kgs in a 2 weeks without compromising on your health. Next Post:Triphala for Weight Loss: How Does it Help & How to Use It?